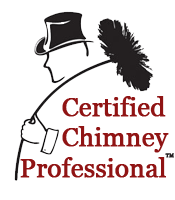 Clean Sweep Chimney Sweeps has been assisting homeowners with all of their chimney cleaning needs since 1989. As certified chimney professional, we have the knowledge and the expertise to efficiently inspect and clean your chimney. In addition to cleaning chimneys, we offer chimney caps, masonry repairs, waterproofing, chimney relines, wood stoves and fireplace inserts. At Clean Sweep Chimney Sweeps, our technicians are certified, licensed and insured to ensure your protection and peace of mind. If you are looking to receive quality services from professionals you can trust, you have to give us a call. We will be glad to assist you every step of the way and look forward to the opportunity to work with you. As professional chimney cleaners, we have the knowledge and the expertise to efficiently inspect and clean your chimney. We have many unique design features that add to the function of the product resulting in the very best value. We’ll inspect your chimney for problems related to cracks, deterioration, lightning damage, water leaks, or smoke problems. If you’re looking to install a new fireplace, stove or insert, or even replace an old one – call us. We can add beauty & warmth to your home. They did a great job – very honest and reasonable. They will not do work that is not necessary. I will definitely use them for my yearly inspections and cleaning. They also were very good about keeping my house clean and that is very important to me. I was able to get a cleaning and inspection appointment within two days of calling. The technician was on time, courteous and explained things in an understandable way. Not a speck of dust or soot was left near my fireplace, they really respect your home and keep things clean. I will definitely do business with Clean Sweep again and would recommend them to anyone who needs their service. © Copyright 2018 Clean Sweeps Chimney Sweeps. All Rights Reserved.